Discount available! Recommend Miniduino - Arduino USB board to your friends and get your Discount. 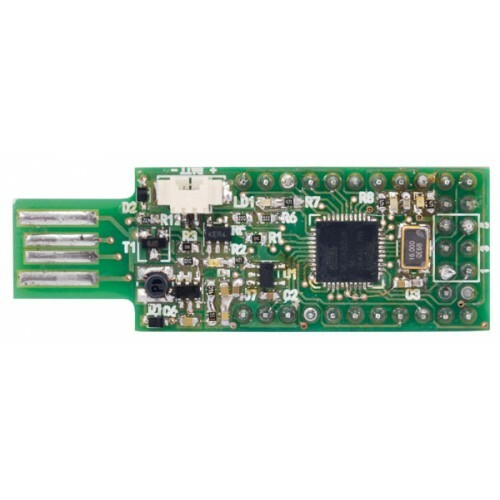 Miniduino is a small (19x40x3,5 mm, pin-strip and USB connector excluded) Arduino board with minimal hardware, but with access to all I/O like the Nano board and equipped with a USB connector with direct insertion integrated into the PCB: practically an Arduino Pen Drive. 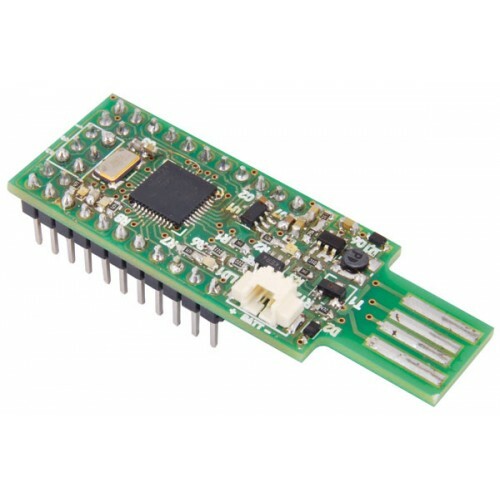 The board is based on the Atmel ATmega32U4 microcontroller, which is the same one used on the Arduino Leonardo, Micro and other boards; not for nothing, thanks also to the bootloader written by means of the ICSP connection, once inserted in the USB socket of a Personal Computer it is recognized as Arduino Leonardo. The ATMega32U4 has the USB device, so it is possible to load the sketch without having to use a USB/TTL converter. It can also simulate a keyboard or mouse, which is useful on many occasions. 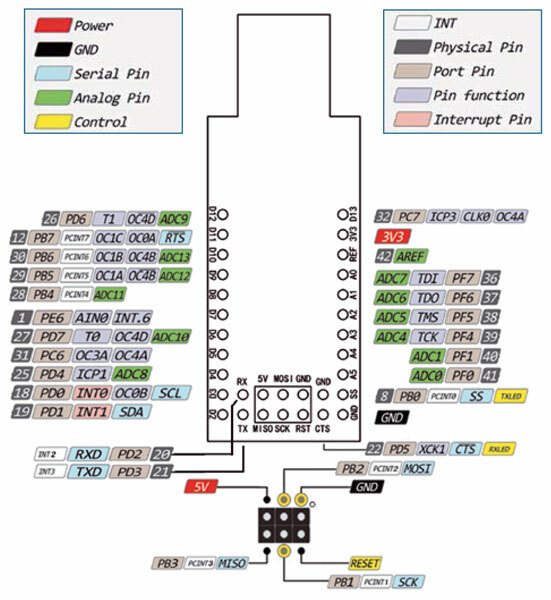 In addition, the typical Arduino LEDs are available, ie those that show the serial activity (LD1 and LD3) and the LED for general applications (LD2). 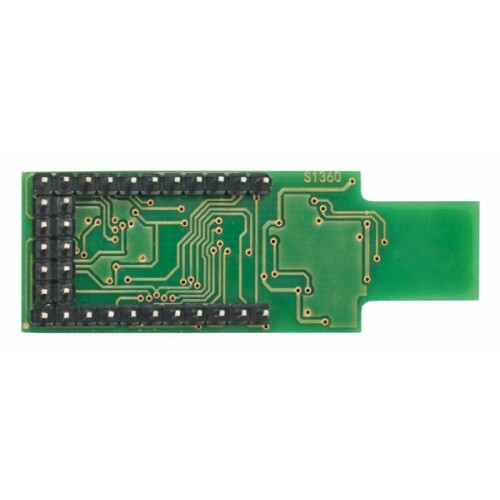 The board is designed to be powered via USB or through a nominal 3.7V lithium battery (to be connected to the +/- BAT contacts). 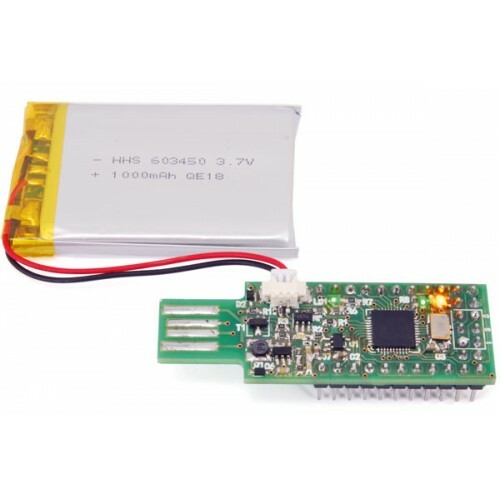 The battery is charged when the card is inserted into the USB socket of the PC (or connected to it via a USB-A / USB-A extension cable) or in a charger with USB output. The current supplied for the battery charge is about 100 mA.